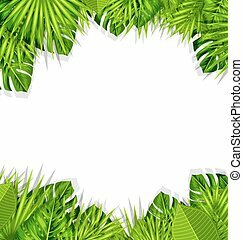 Vector illustration of tropical leaves background. 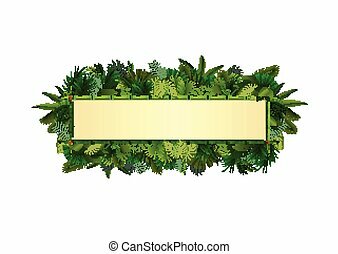 rectangle plants frame bamboo with space for text. 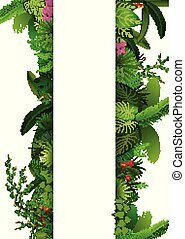 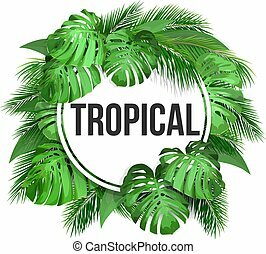 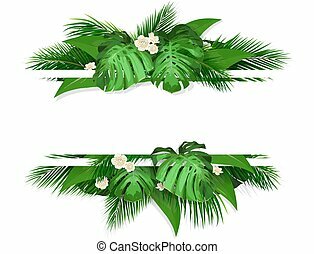 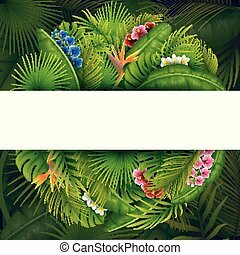 tropical foliage with vertical banner. 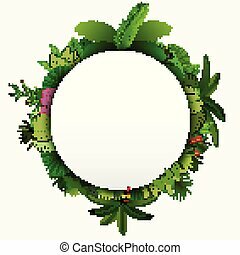 Round frame with tropical leaves. 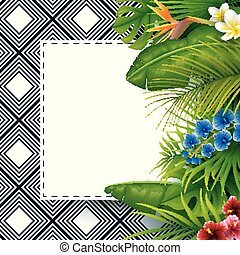 Tropical label or invitation card with space for text. 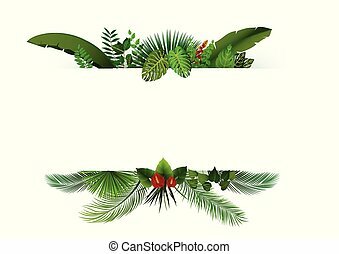 Trendy tropical and summer leaves. 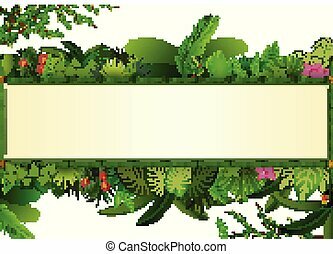 Frame with place for text. 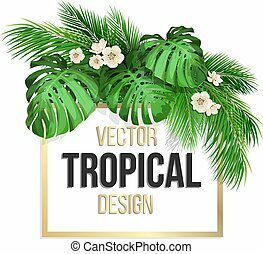 Vector Illustration for design with exotic plant. 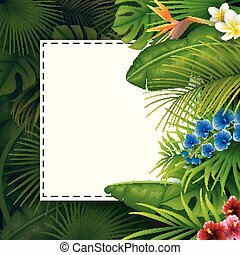 Square golden frame with tropical leaves. 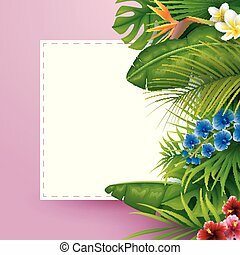 Tropical label or invitation card with space for text. 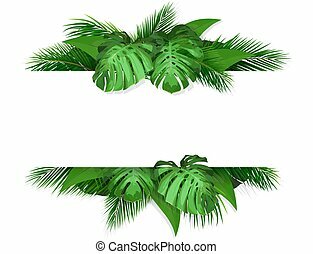 Exotic tropical leaves. 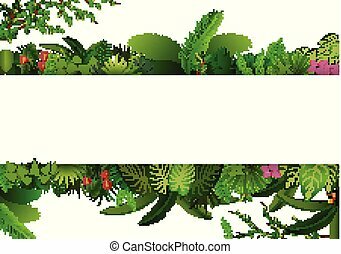 Banner with space for text. 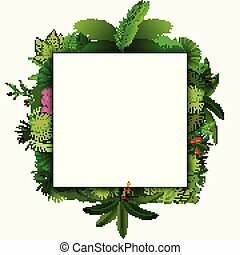 Frame with exotic plants monstera, banana palm tree and flowers. 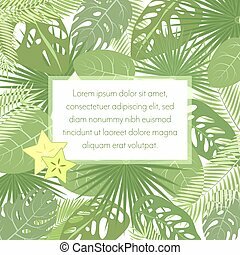 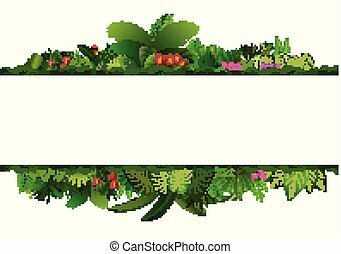 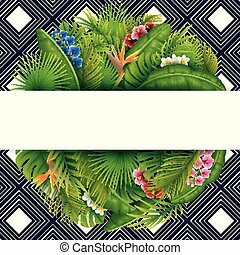 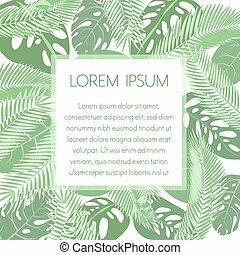 Tropical leaves seamless pattern border frame with space for text. 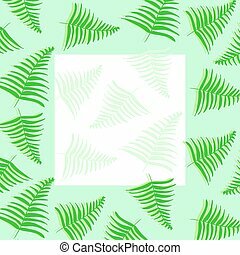 Hand drawn sketch monstera, palm and fern floral decoration for fabric, textile or graphic design. 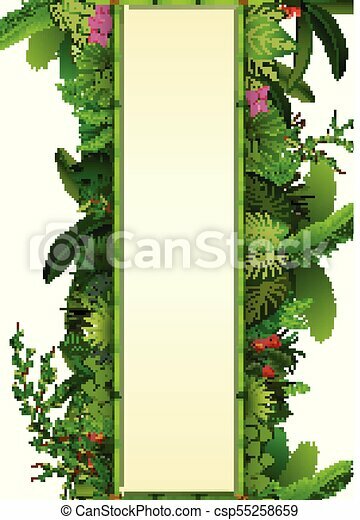 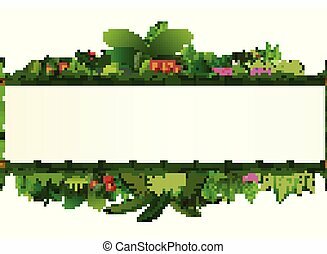 Summer jungle vector background. 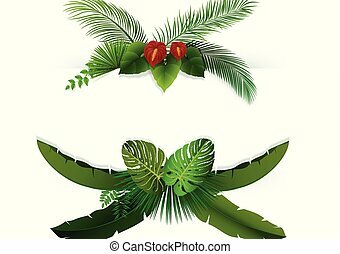 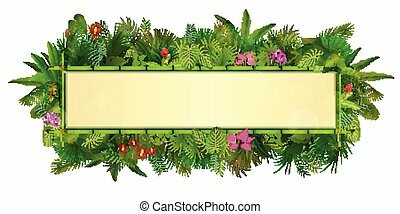 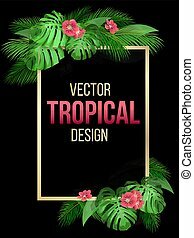 Rectangular Golden frame on black background with tropical leaves.